Hi everyone, after winning Jenny's giveaway last week I was inspired to stitch one of her gorgeous designs, I only started stitching this last night and I finished it this morning! 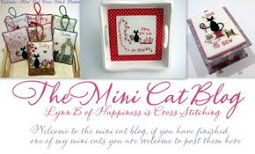 Jenny designs some lovely stitcheries, you can see her blog here and you can purchase Jenny's designs in her shop here, although she does have some freebies on her blog. I have taken a few more photos below so that you can see the design close up. I had this fabric in my stash so I think this is the one I will use to finish it off before I frame it. Not sure about the fabric colour, it may be a little too bright against the deeper red? Mmmm, I will think about it. 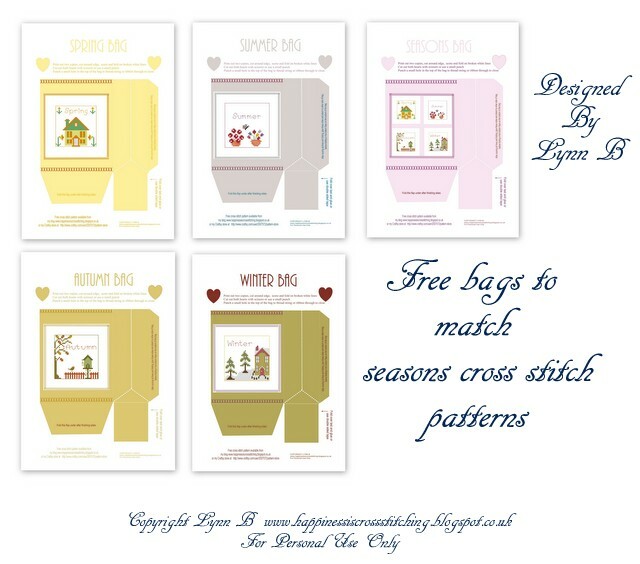 I am going to check out my other patterns that Jenny has designed, they are all so pretty! Thanks for the lovely comments on my blog and welcome to all of my new followers. Hi everyone, sorry I have not been blogging for a while, I have been way too busy, I have not had chance to do any stitching or blog reading but I did have a chance to put my name in the hat for a giveaway over on one of my favourite quilt blogs. 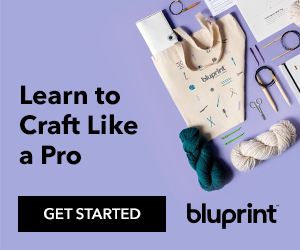 Jenny from Elephantz blog was giving away this gorgeous stitched picture, I could not resist entering and hoping that I would be the lucky lady. I could not believe my eyes when I saw an email from Jenny saying I had won this gorgeous framed picture! Now if you want to see some gorgeous stitching then just pop along to Jenny's blog here , you will be so glad you did because she is a very talented stitcher and quilter. 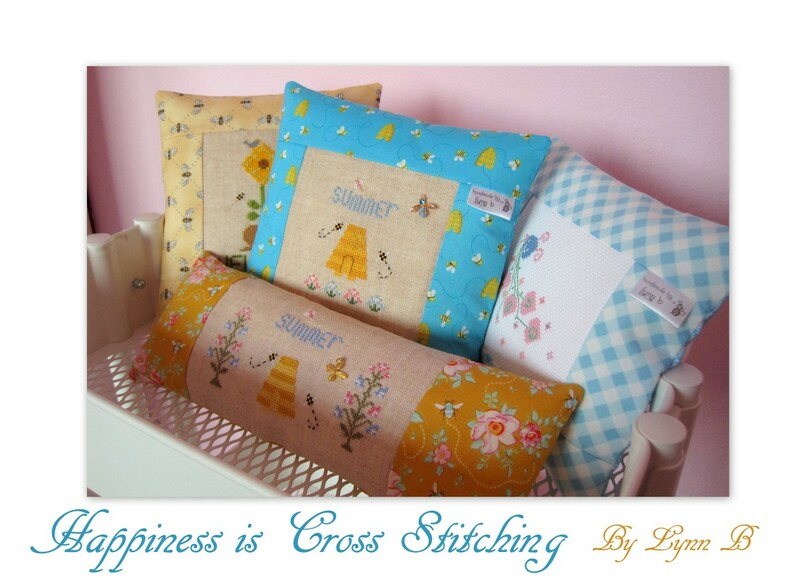 Jenny also has a little shop selling her patterns and stitched gifts and everything she sells is beautiful! Thankyou so much Jenny, I will treasure it always! Here are lots of pictures, check out the gorgeous fabric and lacy card Jenny sent me too! Thanks Jenny for making my day! Happy stitching everyone, I hope I can get some stitching done soon!